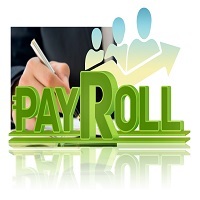 The payroll is not only a paying check that you present to your employees. It is directly related to human capital management. At Nutan Enterprises we assist client companies in formulating the payrolls and managing payroll data bank. Nutan Enterprises is located in Alwar, Rajasthan and provides excellent Payroll Management services. We always keep ourselves updated with various pay rolls offered in organizations. Our services are a win-win situation as neither the company employees would feel that they are underpaid nor the company heads would find themselves over-pouring their cash.